Okay! Most of these instructions are illustrations and I’m not 100% done but this will do for now. 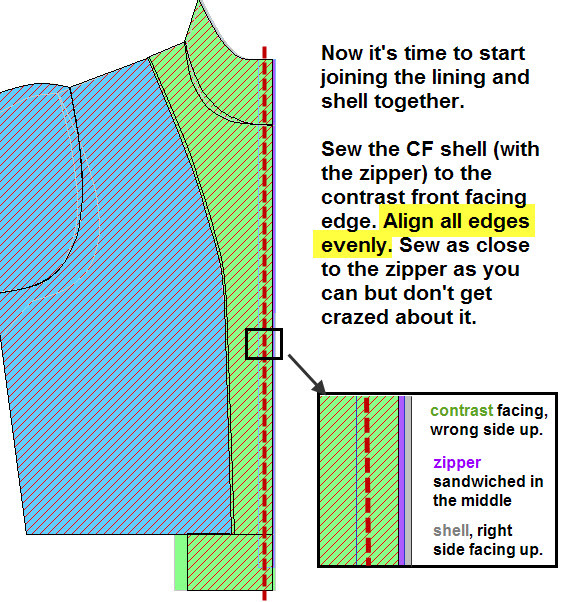 Posts you may find of interest include The designing of a man’s jacket, style #12601 and of course, the necessary prelude to sewing being the fusing map. Before we get started, it might be helpful to download the piece list (xls) so you can follow along. Although this jacket is one of my simpler ones, it has 36 different pieces -and that figure does not include pairs. And yes, this is a real industrial pattern in all respects. If you decide to purchase it (TBA), nothing has been dumbed down or modified. It uses industry standard conventions of construction, marking and sewing. One could think of it as a tool to model one’s practices. Speaking of, below is a map showing the seam allowances (click on the image for a larger version). Well, not all of them. 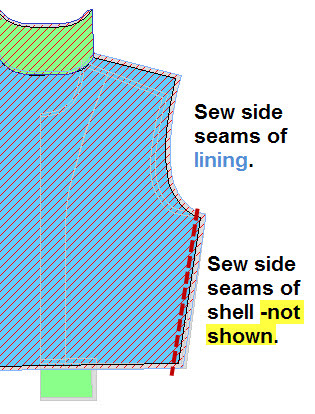 The only pieces mapped in this example are pieces that have one or more seams that are 1/4″, all others being 3/8″. I should also stress that unless otherwise specified, all pieces match exactly -down to 1/64th of an inch. This jacket also has anatomically correct armholes and sleeves. This means there is no sleeve cap ease in them. If anything, the sleeves are just the tiniest bit smaller (on the order of 3/16th total) which you won’t even notice but will facilitate insertion. There is 1/2″ ease in the front lining where it sews to the front facing but this is all. There are also very few notches so the few that there are, are pretty important. It will be very important to cut correctly –cut all lines away. Moving on, lots of images coming up! Oh wait. No fusing is shown in any illustration. Pretend it is there, refer to the fusing map as needed. 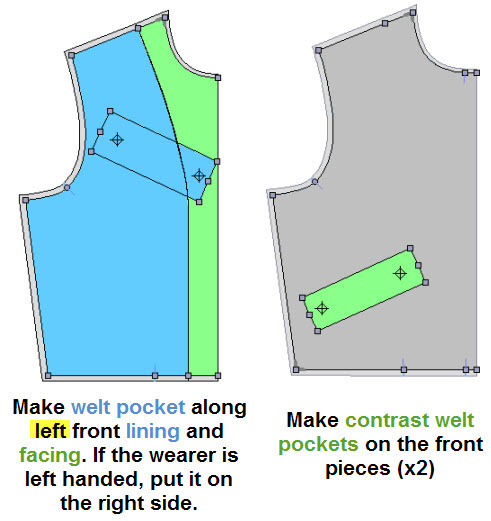 For the step below, refer to welt pocket sewing tutorials one and two. Okey dokey, now we’re getting into the sleeve. Yay! Sleeve setting itself won’t be shown since I’m so lousy at illustrating but let’s review a few things. Again, this is an industrial pattern so all the seam lines match. Likewise, all of the notching is precise. You need to understand the notching convention -this is illustrated. 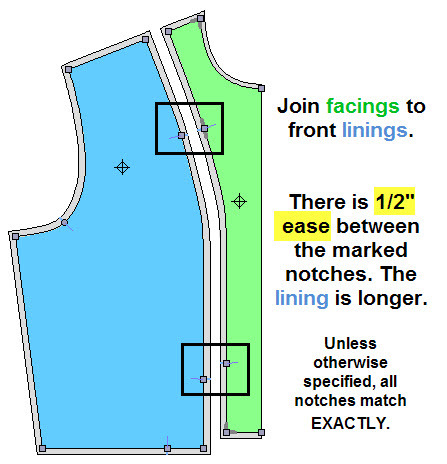 If your notches aren’t matching up, it is likely that you’re sewing the front sleeve into the back armhole. 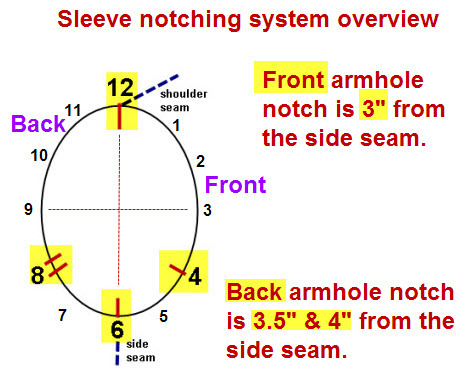 Speaking of, see this post I wrote about sleeve notching that explains the logic of how notching should be done considering the conditions of the workplace. The post can be useful with respect to sewing any kind of well made industrial patterns, not just sleeves. Again, there is no ease in [my] sleeves. Rather, the sleeves are just the tiniest bit smaller than the armholes -on the order of 3/16th of an inch total. 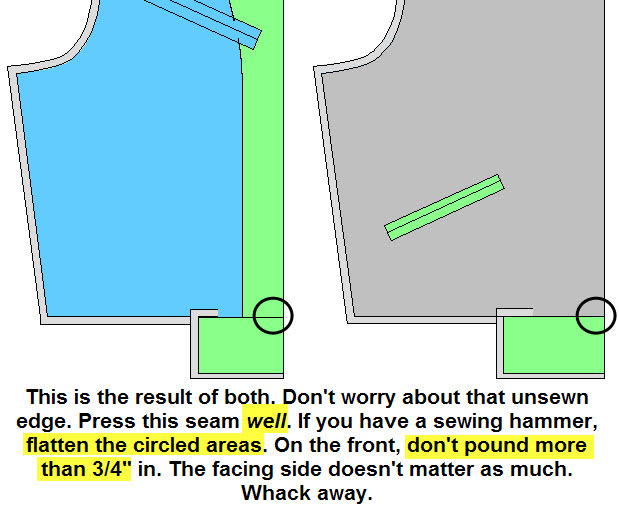 The seam allowances are 3/8″; these will go in much more easily than you imagine. No ease is necessary (in the case of my pattern) because this is a well made sleeve designed to fit an anatomically correct armhole. 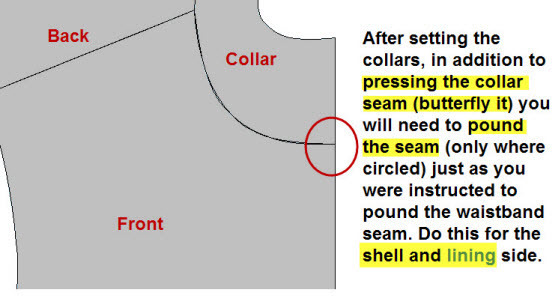 If the armhole and sleeve are drafted properly (a tremendous amount of work), ease is not necessary. If you want some tips, I prefer to sew with the body on top, manipulating it to match the curves of the sleeve as I go along. I also prefer not using any pins because these can actually distort and cause problems where there were none. Your choice. If you must use pins, use as few as possible, preferably only at notch points. But anyway. 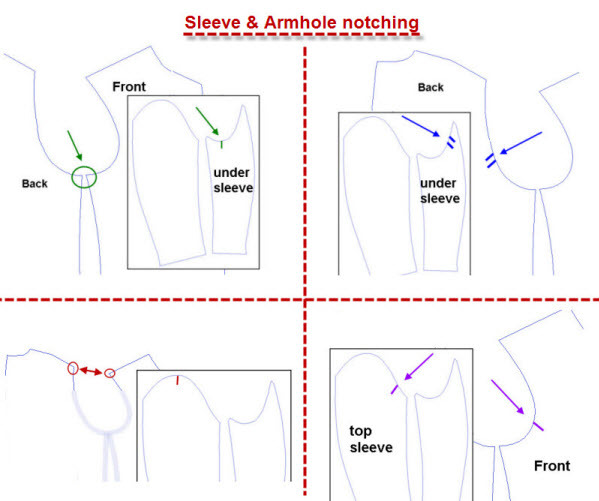 Join the sleeve linings to the lining body and the shell sleeves to the shell. 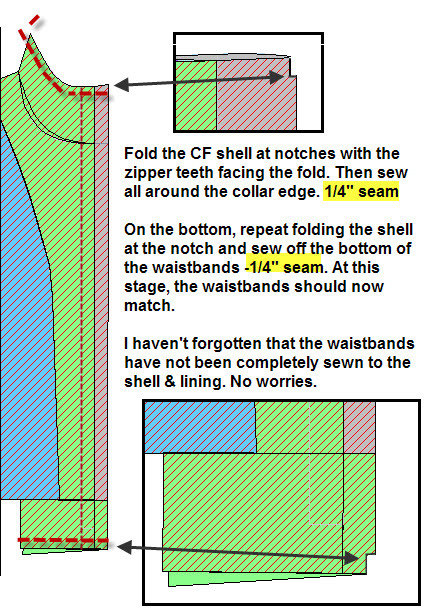 If you like, you can go ahead and sew the cuff ribbing to the shell sleeve, stretching to match (it’s not hard). I actually prefer to sew the cuff ribbing on before I set the sleeve. 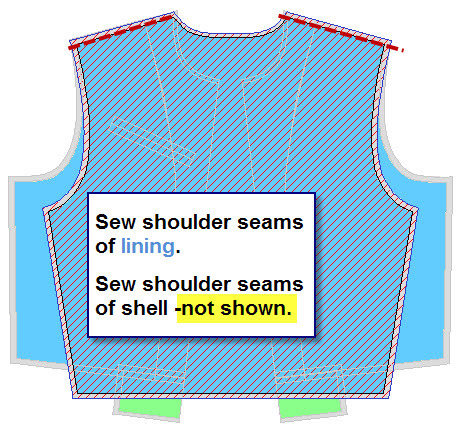 Once you have set the sleeves, you can add a sleeve head in the shell portion. And that’s as far as I’ve gotten. Illustrating instructions takes me forever. 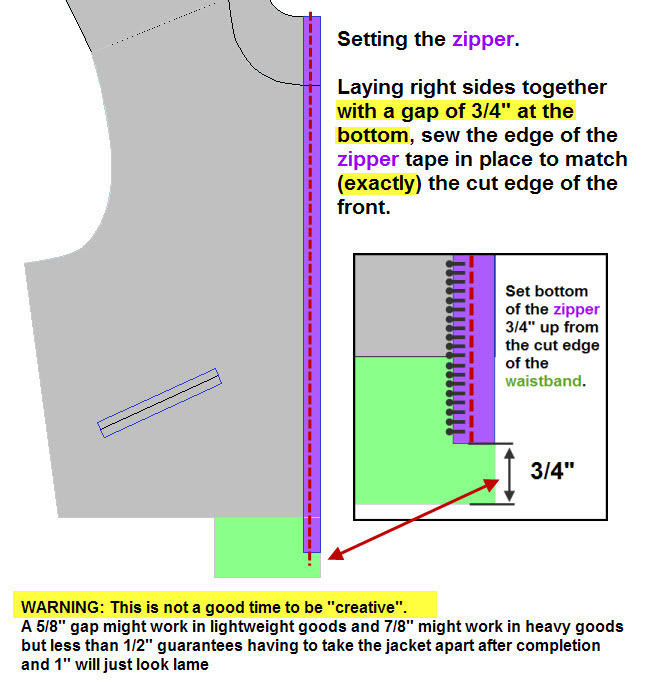 Update 1/1/2014: This jacket pattern is now available for sale. The instructions can be purchased separately and are even more detailed than you see here. It is a 59 page manual with step by step photographs. My sewing class has had projects that required us to hand in written and illustrated (for bonus marks) instructions with our completed garments. Tricky, time consuming stuff. So far what I have read for your jacket makes sense and I really like the clear “now is NOT the time to get creative warning”. Unfortunately, I have had to avert my sleepy eyes and have self-promised to read the entry (and reread the linked entries) more comprehensively asap. Fifth scale drafting homework completion and catch-up awaits. Always a learning pleasure to visit the site. Thankyou again. Wow, thank you – this is downright fun to read! I gather there is a pattern for purchase coming up? How exciting, looking forward to it! Sadly I don’t have any call for a man’s bomber jacket, but these are the nicest instructions i have ever seen. Love it. Beautiful work. Thank you for sharing it. Oh this is a treasure. I can hardly wait for the rest of the instructions and the pattern. It will be such a treat to sew up a pattern KNOWing everything will fit together properly. And great timing — DH just mentioned to me that his well-loved and well-worn leather jacket is starting to show its age. Thank you so much for this series of posts! I am looking forward to trying this pattern. There is definitely a need for well designed men’s patterns. This is terrific. What a gift! 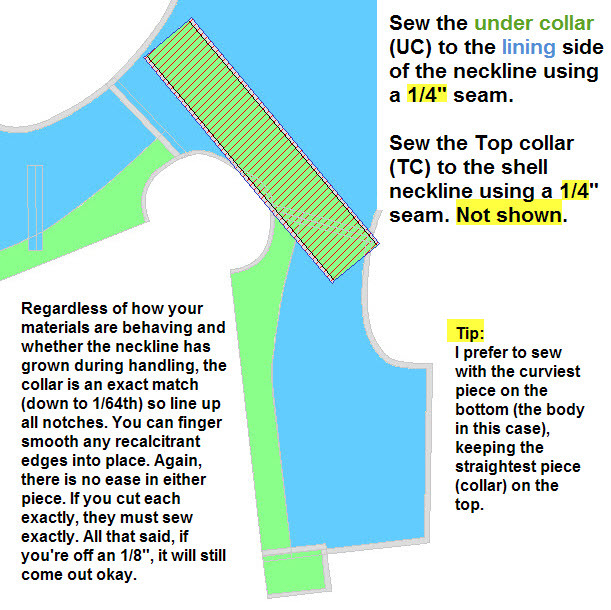 I’m one of the home sewers, and I’ve been changing my sewing methods to those presented here and in the forum. 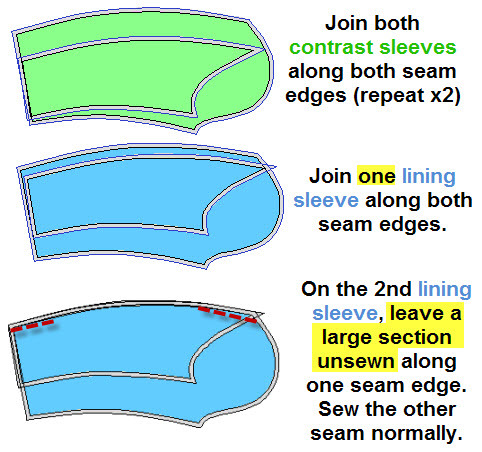 I’m making a couple of simple garments, and just last night I worked out the order of assembling the pieces. The description of the process for this jacket is quite an an education. I’d sure buy the pattern for all the reasons that you listed. And, as Marianne states above, it would be a novel experience to make something that I know will come together properly so that I can clearly see how and where the “operator errors” are introduced. Thank you! I hope you do make the pattern for sale. I would love to make this for my husband. It will be nice to finally see a full production pattern. It would be nice to take into a sewing class (If I ever take one again) and show them… I cannot believe some of the things they (the teachers) actually tell the students. Thank you Kathleen. Love your work and appreciate all that effort you put in to share your knowledge. SEW amazing that you put incredible amt. of time in this post. And YES! I have done every step exactly as yo. Thank you sincerely. These illustrations are so nice! 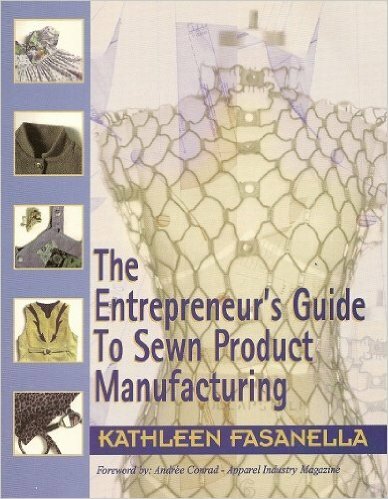 What a great visual guide, Kathleen. These illustrations are excellent – very clear to me. A few years ago I took a series of flat-pattern and draping classes as a mental health escape from the critical care nursing job, and I choose a bomber jacket as my menswear project. I patterned it after an old photo of a WWII French bomber jacket and your illustrations reminded me of the fun project. 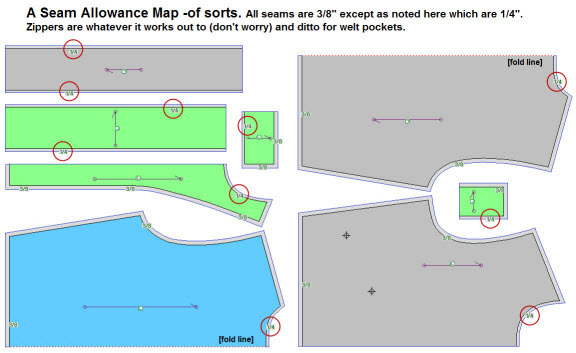 My project’s final pattern pales (I left out the facings & other stuff) compared to yours. I am really enjoying the evolution of this tutorial- thank you Kathleen for your excellent work here. I’m finally catching up on these posts. Wow! Thank you for putting in the time it takes to illustrate and write out instructions. I’ve enjoyed the series. I don’t know if DH would wear a bomber jacket or where I’d source ribbing, but I would really enjoy working with your industrial pattern, especially since it has proper armholes and sleeve caps. You rock! I just wanted to add my voice to the chorus – these instructions are great! You literally save me, girl. 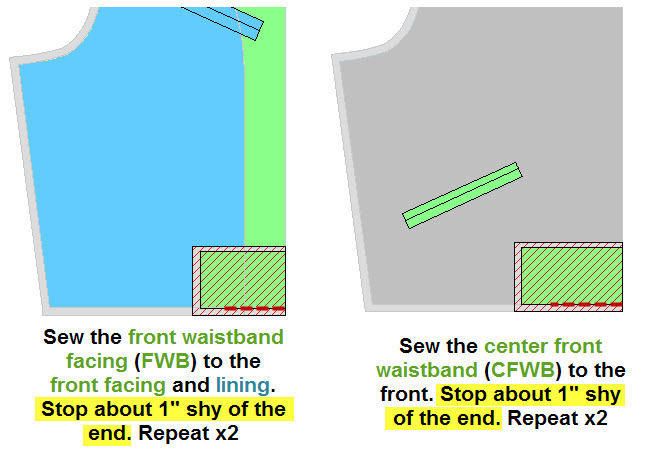 I was stuck at the waistband in the front + zipper + lining, even though it cut off at pt 1 and no pt 2, I knew where to go from there. So I thank you.